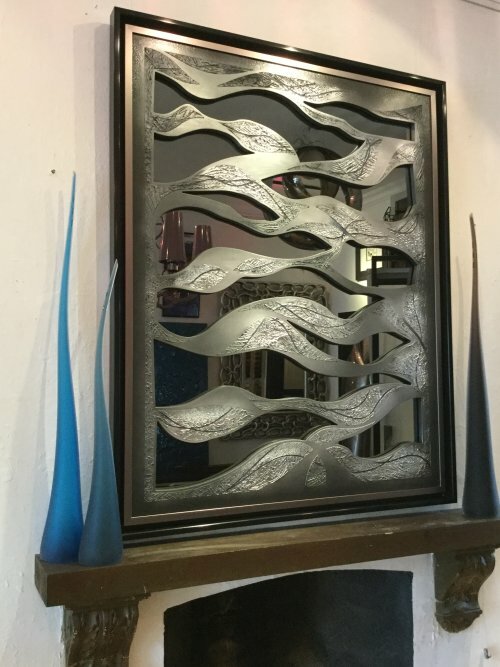 Original wall sculpture/artwork. It is made in MDF which is double framed and painted and finished in 3D on its surface. The cut outs of the artwork allow you to see the grey mirror behind which reflects the light and looks spectacular. The design is focused on producing an interesting 3D effects for the viewer.